Although the majority of the dental surgery procedures and general dental treatments can be done with the only help of local anesthetics, sometimes general anesthesia is strictly necessary in order to carry out long , extensive surgeries, such as orthognatical surgery, or neoplassical surgery. 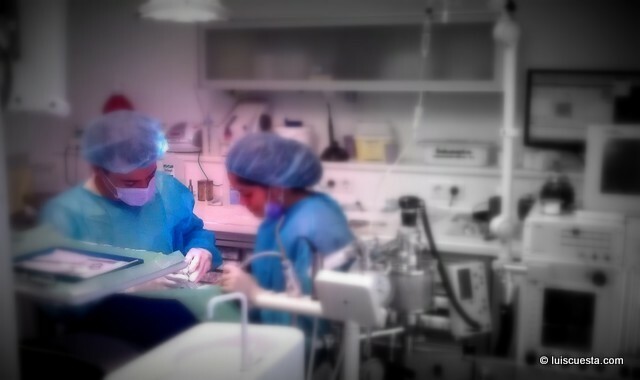 General anesthesia at the dental office allows to provide a confortable better dental treatment. In other cases it is just a matter of patient’s comfort or a patient’s requirement because of his great fear to the dentist, or fear to the dental treatment. In some cases the use of general anesthesiaallows to carry out a long, extensive, integral multiphase treatment in just one long appointment, which would be perhaps too much for the patient to handle without general anesthesia. Some countries’ laws require that general anesthesia is carried out in a hospital. In other countries it is a popular method in normal dental offices, where the anesthetist brings his own equipment by the dental chair. This allows to have all dental equipment, instrument and materials –wich are many more as an ambulatory general anesthesia unit, including accessories- right on the spot in order to provide a better dental treatment. 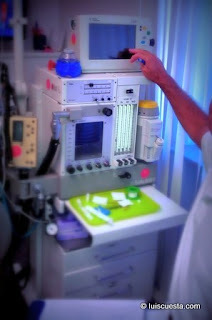 The way the general anesthesia is carried out depends on the anesthetist’s preferences and likes. Some anesthetist prefer deep anesthesiasessions no longer as 3-4 hours, without local anesthetics. Some others carry out not so deep general anesthesia, combined with the help of local anesthetics placed on the treated areas. This has the advantage of allowing longer ambulatory treatment sessions with short recovering periods. The anesthetist controlls then oxygen, carbon dioxide curve and uses light amounts of anesthetical to induce sleep but on a superficial level, so that the patient can almost breath by his own, while still beign assisted by artificial respiration. The recovering period is obviously related to the anesthesia duration, The longer the session, the longer the recovering phase. 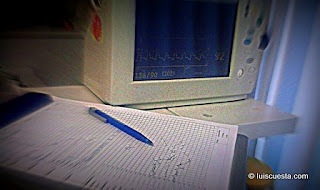 But the depth of the anesthesia influences also the recovering period. A normal recovering phase would be around 30-40 minutes for 3-4 hours general dentistry anesthesia, 60-90 minutes for 6-8 hours . After that, the patient can already walk home with a companion’s supervision. 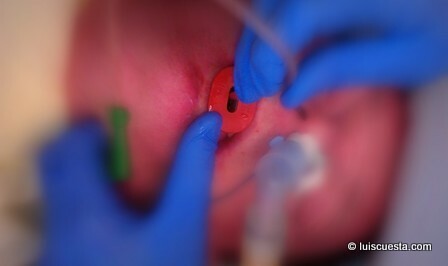 Another technical difference is the way the intubation for breath support is done. Oral intubation is quicker and easier for the anesthetist, leaves less soreness, but it leaves less space in the mouth for the dental surgeon to work in. Obviously, the mouth cannot be closed. It mostly used for surgery not needing occlusion references, such as third molar extractions, or neoplassical surgery. Nasal intubation is slightly more complicated to carry out , can eventually leave some soreness in the nasal mucosa, but, on the other hand, it provides free space for the dental surgeon to work comfortably in the mouth. It is used to carry out orthognatical surgeries, fracture correction surgeries, prosthetical treatments, or extensive cavity restorations involving large occlusal surfaces. In this cases the dental surgeon needs to close the patient’s jaw in order to test the occlusion or to splint both jaws after they are set in the new place. 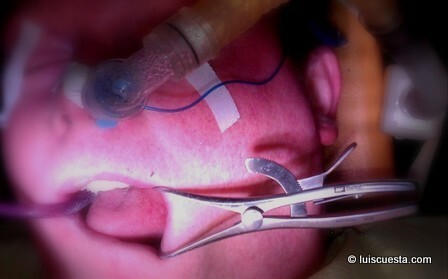 Obviously, this could not be done with an oral intubation technique. Extraction scenarios would haeppn mainly when one fails to save a dying tooth, or maybe a broken tooth where a crown wont be fixed good. Extraction would be the only way to go along when one tooth is crushing on others, no enough room to hold a new tooth as it haeppns for wisdom tooth. Few of the extractions could include surgical complications if the tooth fails to come out of the gum line, this haeppns for few of the wisdom tooth cases, or if ones tooth gets broken from the gum line and needs to be removed. But whatever the complications involved, one can get them done perfect by making use of dental anesthesia. Even any small irritation at the time of anesthesia injection could be handled by making use of numb sprays. The advanced dental extraction instruments help on the dentist and patient to have a smooth session.